Instant digital download • High quality printable PDF • Formatted in letterhead size (8.5″ x 11″) • 1 page • Non-commercial license • For personal use only • No physical product will be shipped! 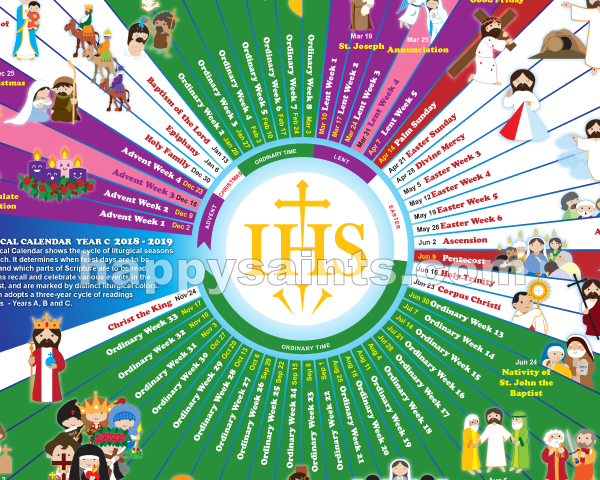 This PDF e-Poster features the 2019 Liturgical Calendar Year C illustrated with Happy Saints artworks in a printable 8"x10" artwork, formatted in convenient easy-to-print US letterhead size (may be enlarged to tabloid size). Fits standard 8"x10" picture frames when trimmed. Great as a wall art for the whole year! May be used to make cards and other papercrafts. Note: This is a DIGITAL DOWNLOAD. No physical product will be shipped! Can I print a larger version of the e-poster? Yes, the artwork measures 3000 x 2400 pixels at 300dpi. It should look good even at tabloid size. Can I print in A4 size? Yes, print at 100% scale to maintain the 8"x10" dimensions. For A4, the top and bottom edges of the artwork are very close to edges of the paper. Be sure to check your printer's margin settings. Can I send the digital file to a print shop to do the printing? Yes, as long as the printout is for personal and non-commercial use. A fine print at the bottom of the e-poster states that you can print it for personal use, in case some print shops ask for the permission. 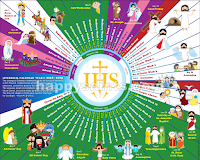 Can I print multiple copies of the e-poster for my school or parish? 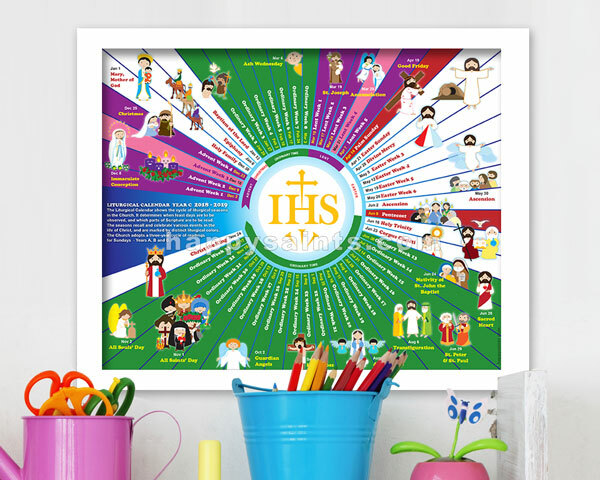 Yes, up to 50 copies and only for non-commercial (not for sale) purposes within the school or parish. I greatly appreciate that you purchase one e-poster for every 50 copies that you print. Can I use the artwork to make cards and other paper crafts? Yes, use the 'snapshot' tool in Adobe Reader to copy the artwork, and paste into your image editor software. Can I use the artwork in my blog or website? No, the digital artwork may not be shared or distributed online. Can I use the artwork in my printed publication? No, the artwork is for personal use only. Do you do a generic copy without dates on it? Hi Susanna, sorry I dont have a generic calendar. God bless!